Last year, the quirky Wine for Yoga Lovers brand was launched under CMV Farms. With a message to ‘live life in balance’ and to appreciate the simple pleasures in life, the brand and its easy-drinking wine styles have been well received. But this month, the team are celebrating some exciting news. We’re very pleased to announce that Gismondi on Wine, based in Vancouver, Canada, has awarded our 2017 Wine for Yoga Lovers Sangiovese Rosé a staggering 91 points. A score between 90-94 in the wine industry is considered “superior to exceptional”, so the Wine for Yoga Lovers and CMV Farms teams are over the moon to have achieved this. 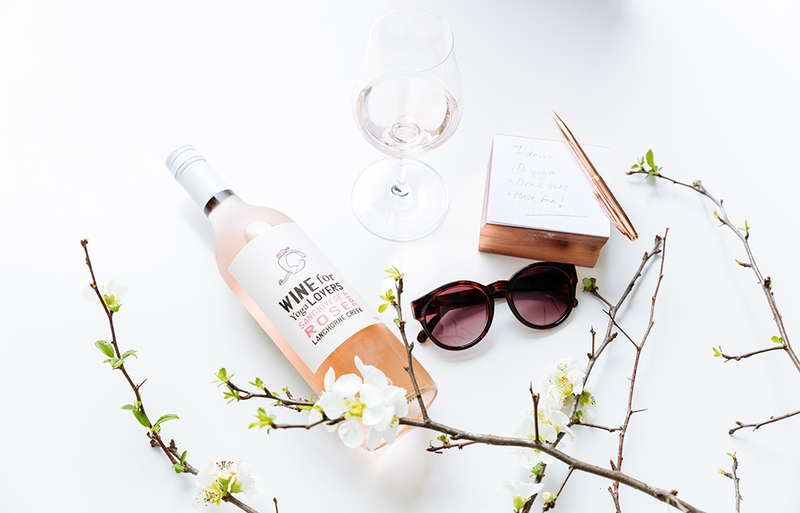 The popular Sangiovese Rosé hit the BC Liquor Store shelves just in time for the summer throughout British Columbia, Canada and have been flooded with compliments on the easy to drink style. Gismondi on Wine commented on how challenging it is to be able to make a near perfect rosé, but Wine for Yoga Lovers have “achieved the tricky trifecta of fruit/acidity/interest, the latter in this case is a swig of salted herbs. There’s a wee swell of warmth on the finish that surprises in this 12.5-degree frame, though that is easily overlooked by the numerous food pairing/patio pairing opportunities in this dry rosé”. We already knew it was great – if we do say so ourselves – so the score does not come as a surprise to us, or to those who have already tried it! Well done to the CMV Farms and Wine for Yoga Lovers teams.